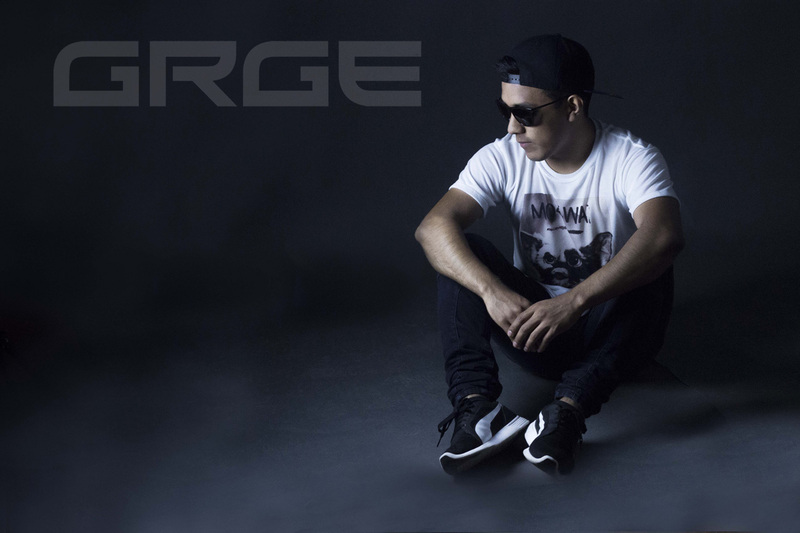 My name is GRGE, I'm a Mexican DJ and Producer who also loves making videos for YouTube. I got into music when I was 6 years old, my dad gave me a keyboard for my birthday, since then I fell in love with it, I used to play it everyday, practice each song that came on the keyboard. Few years later I became interested in Dance Music, I remember listening to my dad's cassettes, Kraftwerk, Afrika Bambaataa, Salt-N-Peppa, 2 Unlimited, and all that oldie stuff. When I became a teenager my best friend lent me her MP3 Player, she had Trance and Psytrance music, I really enjoyed listening to it and asked her to give me her music on a blank CD, since that day I knew Electronic Music was my thing. 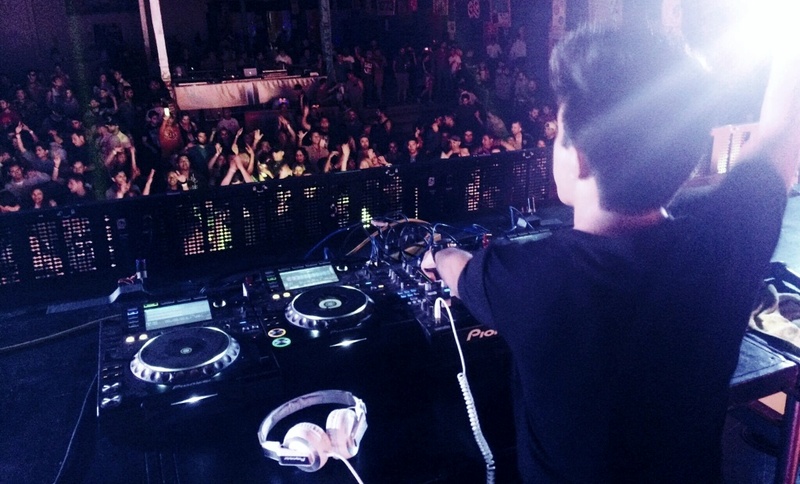 Mi nombre es GRGE, Soy DJ y Productor mexicano que tambien ama hacer videos para YouTube. Me metí en la música cuando tenía 6 años, mi padre me regaló un teclado por mi cumpleaños, desde ese entonces me enamoré de él, solía tocar todos los días, practicar cada canción que venía en él. Pocos años después comencé a interesarme en la Dance Music, recuerdo escuchar los casetes de mi padre, Kraftwerk, Afrika Bambaataa, Salt-N-Peppa, 2 Unlimited, y todas esas cosas antiguas. Cuando me convertí en adolescente mi mejor amiga me prestó su reproductor de MP3, tenía musica Trance y Psytrance, disfruté mucho escuchar ese tipo de música y le pedí que me la pasara en un disco en blanco, desde ese día super que la Música Electrónica era lo mío. Tell us about your genre and style of music? I always try to be versatile with my music, I'm not focused in a specific genre of music, sometimes I make Glitch Hop, sometimes I make Future Bass, even Hardstyle. I like my tracks to be energetic, powerful, that have catchy melodies, I try to make sounds that are not common, I don't like being generic. Yo siempre intento ser versátil con mi música, no estoy enfocado en un género en especifico, a veces hago Glitch Hop, a veces hago Future Bass, hasta Hardstyle. Me gusta que mis pistas sean energéticas, potentes, que tengan melodías pegajosas, me gusta crear sonidos que no son comunes, no me gusta ser genérico. How did you get started on making tutorials for the spanish community? I started on Facebook, I remember making a funny video which taught how to make Jungle Terror, the reactions were so positive that I dediced to make another one, this time I taught how to make Future House, since that video a friend of mine told me "Why don't you upload them to YouTube?, your videos are so amazing, they're fun and they teach people! ", I was hesitating, but I decided to upload them to my channel. I had few views and comments back then, people asked me to make more genres like Melbourne Bounce, Bass House, and Trap. It wasn't until "How To Trap" was uploaded, it had a great impact into my channel, I began to grow as I've never imagined. That's why I kept doing that kind of videos because my followers think they're unique, something that's not common to see on YouTube, half comedy, half teaching. Comencé en Facebook, recuerdo haber hecho un video divertido cual enseñaba cómo hacer Jungle Terror, las reacciones fueron muy positivas que decidí hacer otro video, esta vez enseñando cómo hacer Future House, desde ese video un amigo me dijo "¿Porqué no los subes a YouTube?, ¡tus videos son asombrosos, son divertidos y enseñan a la gente! ", estaba dudando, pero decidí subirlos a mi canal. En ese entonces tenía pocas vistas y comentarios, la gente me pedía que hiciera más géneros como Melbourne Bounce, Bass House, y Trap. No fue hasta el "How To Trap" fue subido, tuvo un gran impacto en mi canal, comencé a crecer como nunca lo imaginé. Es por eso que sigo haciendo ese tipo de videos porque mis seguidores piensan que son únicos, algo que no es comúm ver en YouTube, mitad comedia, mitad enseñanza. When I was 16 years old, my best friend (same who lent me her MP3 Player) showed me a music software, she told me that I could create my own music, I was so happy, since I always wanted to create my own music, and that software was FL Studio 7. First time I opened FL Studio I was so confused, there were many buttons and settings there, but I didn't gave up, I wanted to create my own music, so I started watching tutorials, reading music production articles, and put my musical knowledge into practice. I've been using FL Studio for 6 years, and I wouldn't change it simply because the User Interface is very good, it's so easy to get used to it, their native plug-ins are so amazing, and lastly I can say that FL Studio is vast as the universe, is the place where I can express my imagination without limitations. Cuando tenía 16 años, mi mejor amiga (la misma que me prestó su reproductor MP3) me mostró un programa de música, me dijo que ahí podía crear mi propia música, estaba muy feliz, ya que siempre quise crear mi propia música, y ese programa era FL Studio 7. La primera vez que lo abrí estaba muy confundido, había demasiados botones y ajustes ahí, pero no me rendí, yo quería crear mi propia música, así que comencé a mirar tutoriales, leer articulos de producción musical, y a poner en práctica mis conocimientos musicales. He usado FL Studio por 6 años, y no lo cambiaría simplemente porque la interfaz del usuario es muy buena, es muy facil acostumbrarse a ella, sus plug-ins nativos son asombrosos, y por último puedo decir que FL Studio es vasto como el universo, es el lugar donde puedo expresar mi imaginación sin limitaciones. My studio is not the big deal, I actually have a Lenovo Y700 which is a decent laptop for producing, I got a pair of M-Audio monitors, a pair of Bose speakers which I don't use for production, I use them to listen to music only, I got a M-Audio Keystudio 49e, and finally, to do live sets I have my Pioneer DDJ-SB2. Mi estudio no es la gran cosa, actualmente tengo una Lenovo Y700 cual es una laptop decente para producir, tengo un par de monitores M-Audio, un par de bocinas Bose cuales no uso para producir, solo las uso para escuchar música, tengo un M-Audio Keystudio 49e, y por último, para hacer sets en vivo tengo mi Pioneer DDJ-SB2.